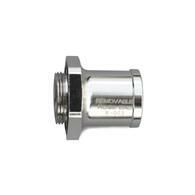 Need a larger hose end size? The H-003 is an extra large hose end that has a 3/4" OD so that a larger hose can be used. For medium and large body (Part number EZ-200 ~ EZ-215, EZ-2 ~EZ-8) valves.